The BSF nabbed a suspected smuggler on Wednesday and seized a dozen gold biscuits valued at over Rs.36 lakh from him along the India-Bangladesh border in West Bengal’s North 24 Parganas district. Acting upon specific information, Border Security Force personnel from Amudia outpost challenged a person who had moved on to the Indian side “in a suspicious manner”, said BSF deputy inspector general R.P.S. Jaswal. 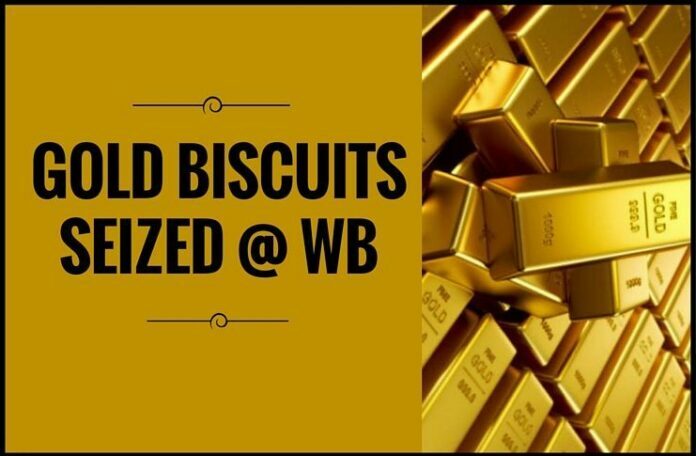 Following a search, the gold biscuits wrapped in plastic tape and weighing 1.404 kg were found in his possession. On interrogation, the suspect disclosed his identity as Ajaruddin Molla of Mazipara village in North 24 Parganas district. He was later handed over to the Bagdah police station, Jaswal said in a release. This year so far, the South Bengal Frontier of the BSF has seized 21,940.165 grams of gold valued at approximately Rs.5.91 crore($897304.48) and apprehended 19 smugglers. 2. The conversion rate used in this article is 1 US Dollar = 65.75Rupees.